Designed to deliver excellent protection against forklift damage while fitting seamlessly into your workflow, the DLR series is an ideal choice for a variety of applications. 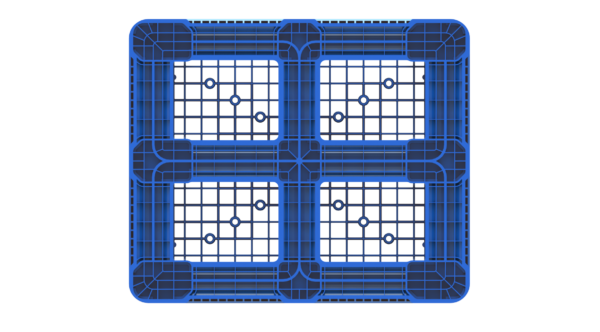 Our DLR pallets come in three sizes, 40″x48″, 36″x39″, 1200×1000 and feature a telescoping double wall, as well as our unique ratchet system that is up to three times stronger than welded or bolt-on fasteners. The unit’s lower deck is engineered to guide pallet jacks in, further reducing the risk of damage. The result is a pallet that is strong enough for your most demanding applications and that will deliver years of reliable performance. 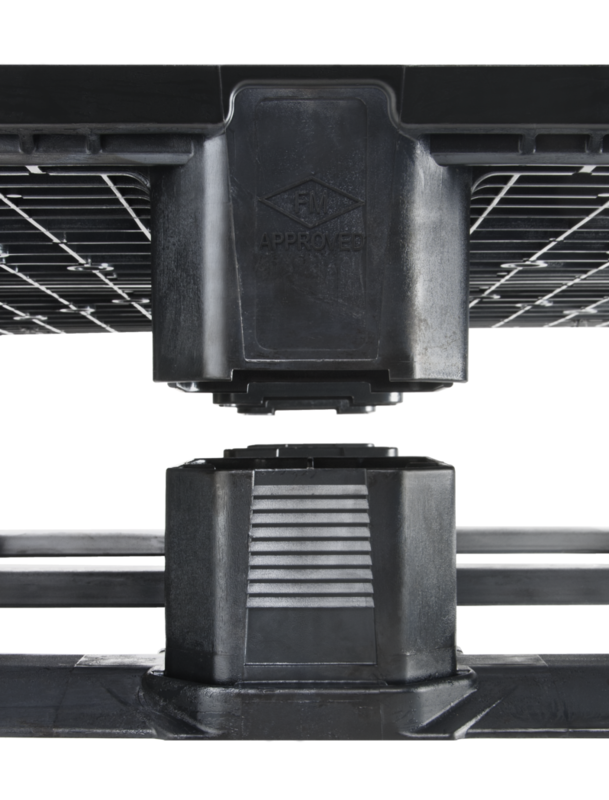 Edge rackable to 2,200 lbs. PSI sells the DLR (double leg ratchet) series of products in open-top, solid top and metric versions. 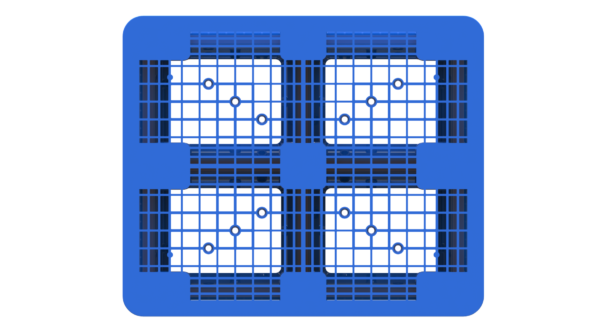 Optional anti-microbial additives make our double leg ratchet pallets suitable for use in sanitary environments, while intermittent perimeter lips or rubber grommets provide additional flexibility. Many colors are available. We also offer the option of having your company name or logo hot-stamped or molded-in for easy identification. 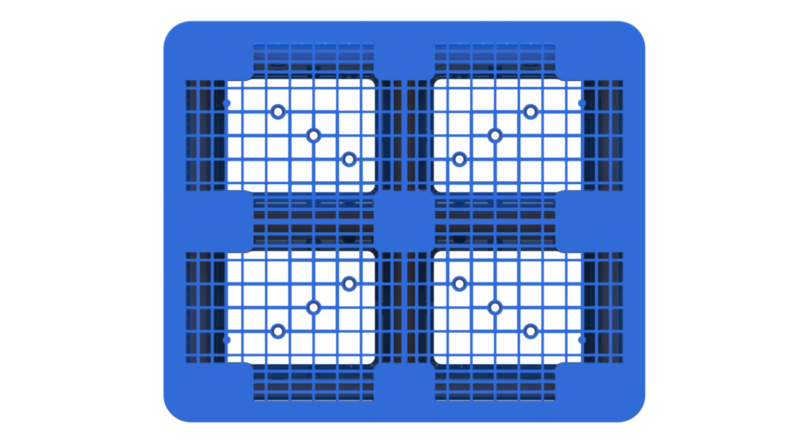 The 40″ by 48″ open-top double leg ratchet pallet is edge rackable up to 2,200 lbs and features FM approved fire-retardant formulations, FDA complaint resins and non-decaBDE plastic construction. Overall static load rating is 30,000 lbs., while its dynamic load rating is 5,000 lbs. 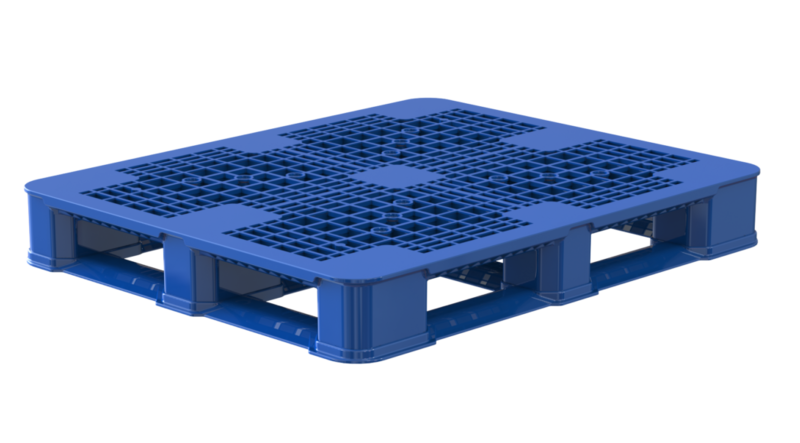 Potential applications for our open-top plastic pallets include pharmaceutical, food and beverage, and general manufacturing environments, as well as warehouses and other material handling centers where durability is required. 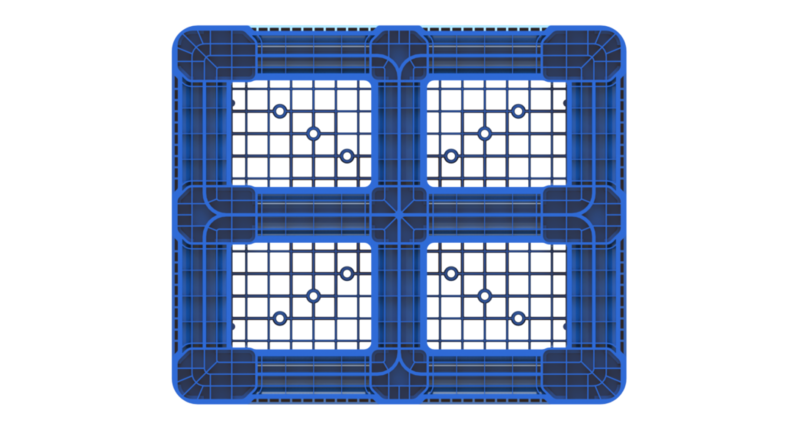 We manufacture our 40″x48″ DLR pallets from HDPE for superior resistance to mold and bacteria. 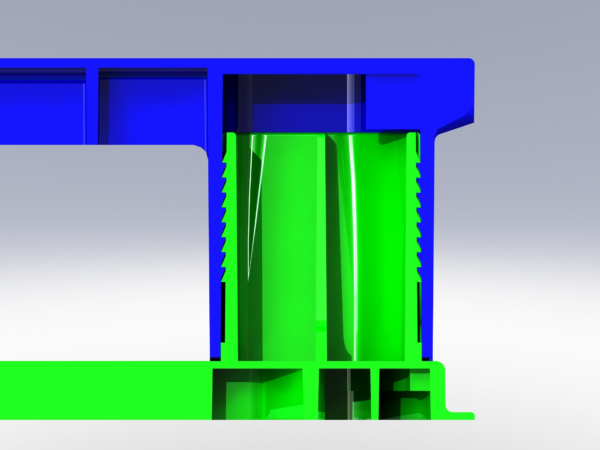 Units with an open-top configuration allow for enhanced visibility and easier cleanup. Sustainability is a priority for PSI. 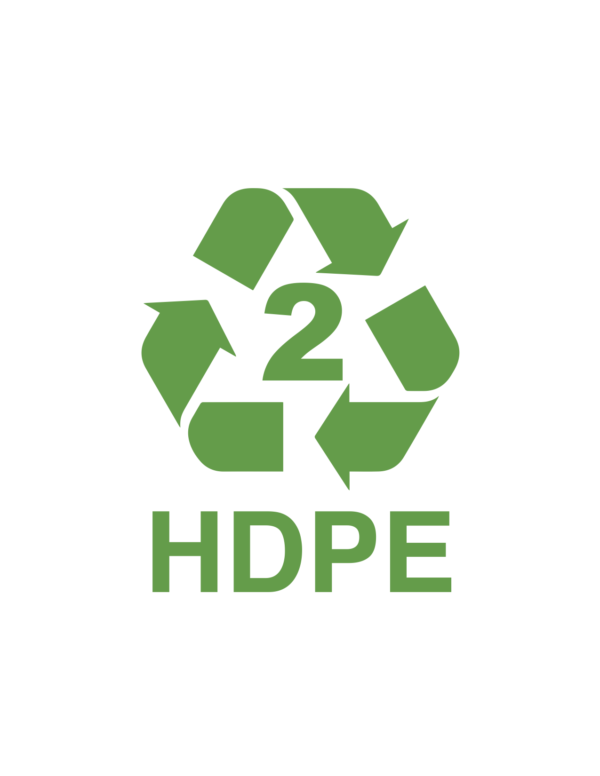 We recognize the important role pallets play in the broader supply chain and that more efficient, more sustainable products are essential to reducing your overall impact on the environment. 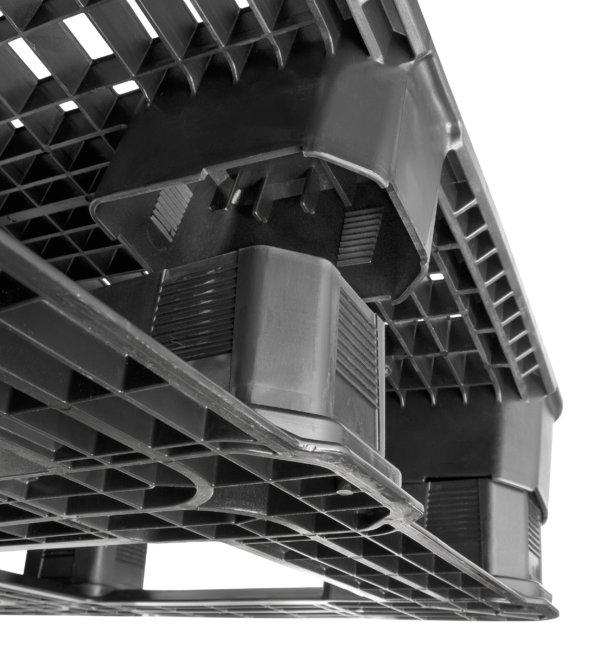 If you’re still using wooden or metal pallets, switching to a quality plastic product from PSI is an easy way to improve sustainability without compromising your workflow. Our double leg ratchet pallets are among the most robust options on the market today, which means they will last longer and deliver better value for your investment. 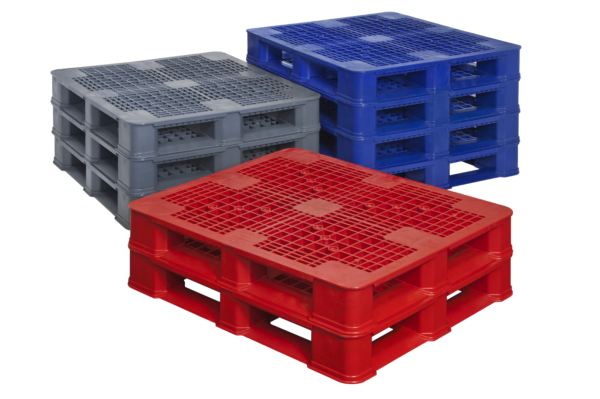 Not sure if an open-top plastic pallet is right for your operation? Contact us for assistance. 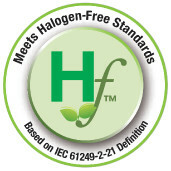 We’ve been a global innovator in pallet design since 1997. 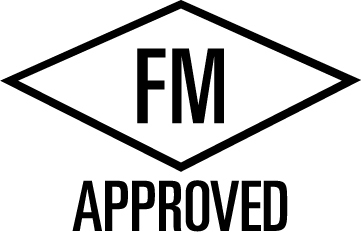 Our experts would be happy to go over your requirements and recommend the best product for your needs. Start a Live Chat session with us online or call/email our office for assistance today.